As I mentioned briefly before, my pieces were selected for the international competition TALENTE 2013 in Munich, Germany, during Schmuck (March 6-12) this year. 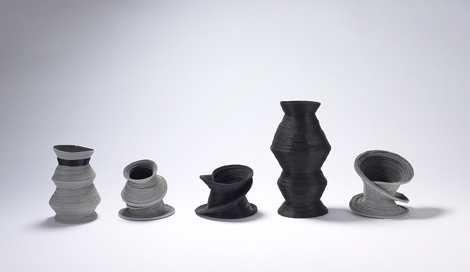 TALENTE is an annual competition for new talent (up until the age of 33) working in the areas of design and technology not only from jewelry, but also glass, textile, wood, ceramics, etc. Contributing designers can only be selected once in their entire career. 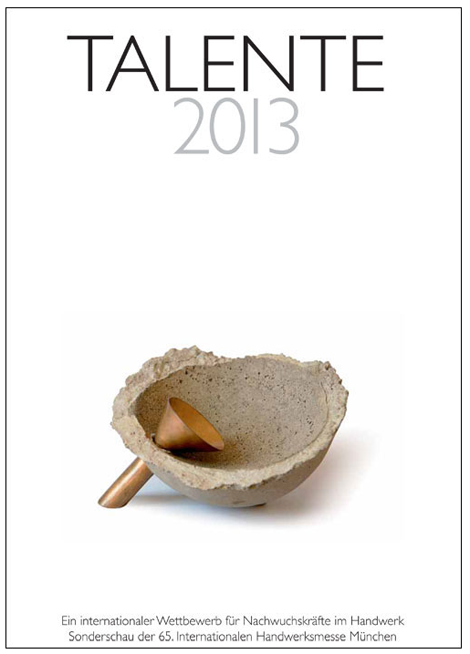 Like each year, the winners of the Talente Prize 2013 will be awarded on the 9th of March at 3:30pm. Here is more information about TALENTE. Last November, I had a short answer for the "Zoom" section of the American Craft Magazine. 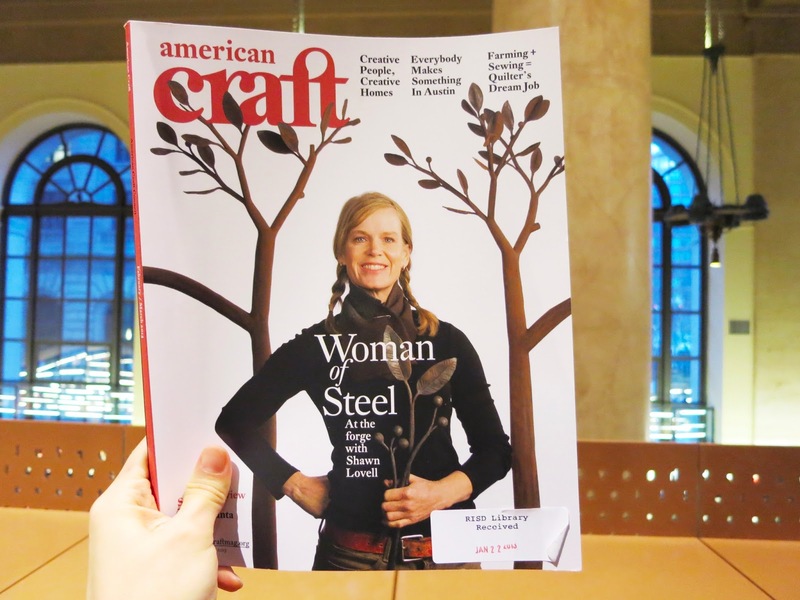 Now my image and answer are featured in the February/March 2013 issue of American Craft. 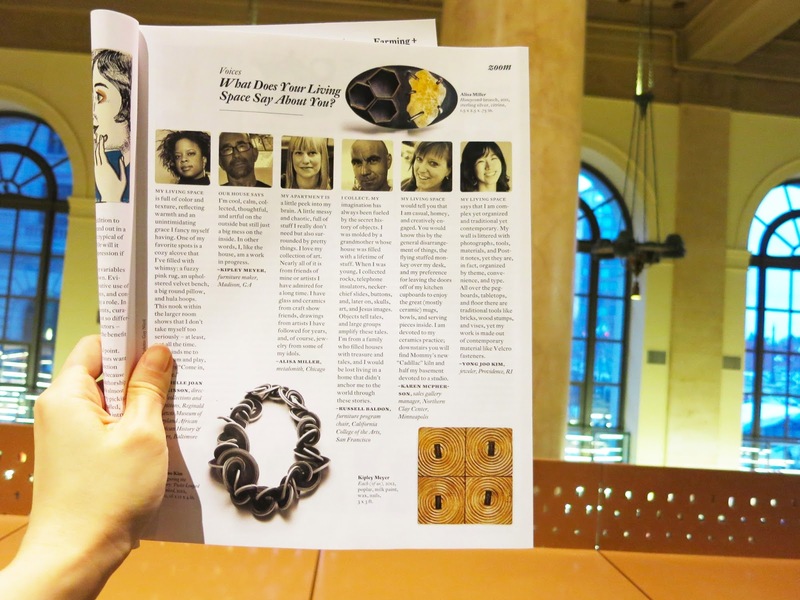 It's always a nice surprise to find my image in a magazine. @ The Fleet Library at RISD.